Are you Enabling an Alcoholic? Do you have a friend or family member who is dealing with an addiction to alcohol? Unfortunately, alcoholism appears to be on the rise in America. A shocking study done in 2017 revealed that 1 out of every 8 Americans is an alcoholic today. The good news is that you can get your loved one the help they need if they’re willing to work at kicking their addiction. But in order to do it, you need to make sure you aren’t enabling an alcoholic in your life and making their situation even worse. There are many people who think they’re helping their loved one when, in reality, they’re hurting them by enabling them to continue their bad behavior. Here are some of the ways you might be enabling the alcoholic in your life. If a person has a drinking problem, you shouldn’t ignore it. The longer you ignore it, the worse it’s likely going to get. Yet, there are many people who handle their loved one’s alcoholism by simply ignoring it and hoping it’ll go away. Rather than confronting the issue head-on and dealing with it accordingly, they choose to overlook it. You are enabling an alcoholic if you try to pretend that they don’t have an issue or refuse to acknowledge that it exists. Ignoring the issue at hand isn’t going to make it disappear. It’s only going to make it even harder for a person to accept their own addiction and get the help they need later. You might not think you’re enabling an alcoholic if you haven’t ever physically purchased booze for them from a liquor store. But there are a number of ways you might be enabling them if you have ever given them money when they’ve asked for it. For example, you are enabling an alcoholic financially if you’ve ever paid a bill that the person should have been able to pay on their own. You’re also enabling them if you’ve ever taken care of a debt the person racked up due to a legal situation associated with their alcoholism. While you might feel bad and want to pay off an electricity bill for an alcoholic or take care of their groceries for them, you should avoid doing it at all costs. You’ll actually be hurting rather than helping them by doing it. Have you ever found yourself saying any of these things? If so, you are probably enabling an alcoholic by making excuses on their behalf. There are some people who will do this because they’re embarrassed about the way their loved one behaved. But that’s no excuse for coming up with excuses and letting them off the hook. Those who live with alcoholics usually don’t want others outside of their home to know how bad things really are. As a result, they’ll lie to cover up for the alcoholic and to make it seem like everything is great in their home. If you find yourself dishing out lies to your friends, family members, neighbors, and more, you are enabling an alcoholic and allowing them to carry on without facing the consequences of their actions. While you might not feel comfortable sharing your problems with the whole world, you should avoid outright lying about how great life is in your home if it really isn’t. You would be surprised by how many people blame others for their loved one’s addiction to this attractively packaged poison when they’re dealing with alcoholism. Parents will blame their child’s spouse for putting too much pressure on them and forcing them to drink to ease their nerves. Spouses will blame their partner’s parents for stressing them out and forcing them to use alcohol more than they should. Alcoholism can turn into one big blame game that can tear families apart. Rather than blaming others for your loved one’s behavior and enabling an alcoholic, you should focus on getting them the help they need. Is your own health failing because of all the effort you’re putting into trying to get your loved one help? Have you stopped seeing your friends and family because you need to be there for your loved one to prevent them from drinking too much? Do you find that your days are being consumed by caring for your loved one as they continue to drink? You are putting the alcoholic’s needs above your own, and it’s only a matter of time before you pay the price for it. While it’s OK to want to help, it’s not OK to do it if it means that you’re ultimately going to suffer. There are many people who will try to combat alcoholism by offering up ultimatums to alcoholics. You can do this, but be prepared for what might happen if your loved one continues to drink anyway. Far too often, people don’t follow through on the “Or else…” part of their ultimatum, and they end up enabling an alcoholic by doing it. There are lots of reasons to quit drinking but being told to do it is not one. If an alcoholic doesn’t take your threats seriously, they aren’t going to do anything to change. So be careful about making threats in the first place, and if you do, be careful about not following through on them. If you suspect that you might be enabling an alcoholic, it’s time to stop. You might think you’re helping the addict, but you’re really not. You’re only making the problem worse and giving them yet another reason to continue drinking. 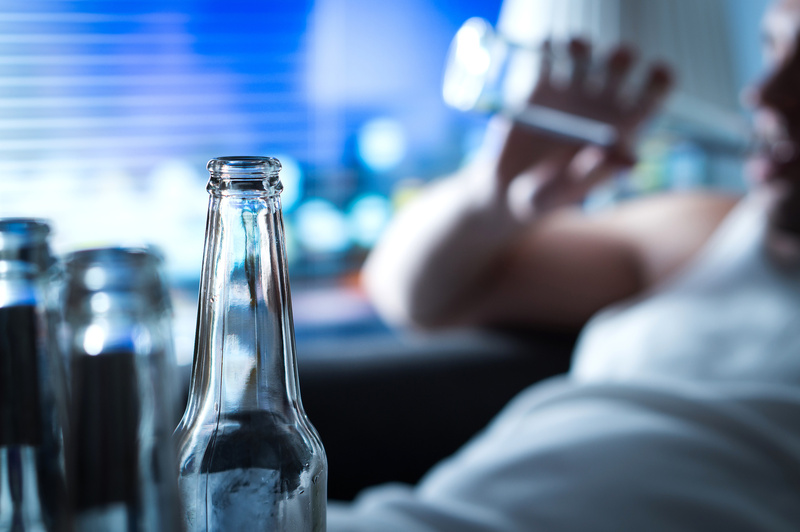 Check out our blog for more information on dealing with alcoholism effectively. 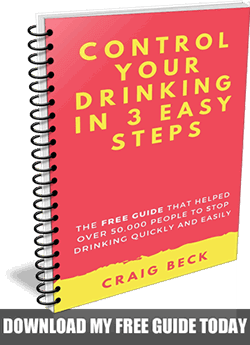 If you are ready to get started with the full how to stop drinking program click here.